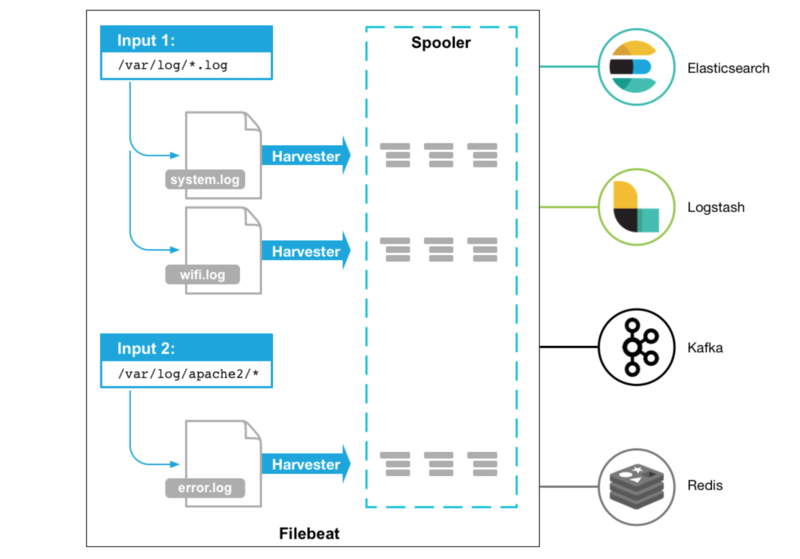 Filebeat by Elastic is a lightweight log shipper, that ships your logs to Elastic products such as Elasticsearch and Logstash. Filbeat monitors the logfiles from the given configuration and ships the to the locations that is specified. Filebeat runs as agents, monitors your logs and ships them in response of events, or whenever the logfile receives data. Let’s configure our main configuration in filebeat, to specify our location where the data should be shipped to (in this case elasticsearch) and I will also like to set some extra fields that will apply to this specific server. Above, just setting my path to nginx access logs, some extra fields, including that it shoulds seed kibana with example visualizations and the output configuration of elasticsearch. Your data should now be shipped to elasticsearch, by default under the filebeat-YYYY.mm.dd index pattern. You can head over to Kibana at http://localhost:5601 (in this case) to visualize the data that is ingested into your filebeat index. I will write a tutorial on how to graph up most common dashboards later this week.